Sixty years on, people still ask the same questions – Where was G–d during the Holocaust? How can you believe in G–d after the Holocaust? 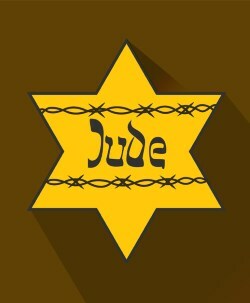 If G–d is just and righteous how could He allow the Holocaust to happen? Why didn’t G–d perform miracles during the Holocaust? The very fact that even those who claim they are non-believers incessantly ask where was G–d, is in fact the greatest proof that they too, deep in their hearts, believe there is a G–d, only they are aching for an answer to the question. To be more benevolent one may say that, in fact, they want to believe in G–d but the Holocaust poses a question of such dramatic proportions that they feel they cannot believe. For the true believer there should be no questions. He quotes the verse (Deuteronomy 32:4,5), “The Rock! – perfect is His work, for all His paths are justice; a G–d of faith without iniquity, righteous and fair is He.” His faith is not challenged by the fact that he does not understand, for which mortal being can truly comprehend the ways of the A–mighty? However, the very fact that he is human and mortal, and terribly disturbed and upset, does make him question. Some incomplete response must therefore be supplied so that the believer may continue to serve uninterruptedly and undisturbed. The conflict between tragedy and faith is not new. Anybody knowledgeable in Jewish history will realise that our people have undergone the most terrible persecutions and genocide at the hands of many oppressors. The believing Jew of 1940 knew about the pogroms, crusades, destruction of the Temples, he read out aloud on the Seder night, “In each generation they rise over us to destroy us”, and yet it did not shake his faith. Anti-Semitism was nothing new. The same method by which the Jew of 1940 knew about the past and yet kept his faith could be employed after the Holocaust. The philosophical question of “Shall the Judge of the earth not do justice?” applies just as much to the seemingly meaningless suffering of an individual as to that of six million individuals. If it could be dealt with on an individual basis before the Holocaust, it could be dealt with in the same way afterwards. The difference is one of quantity, but the quality of the question remains the same. In truth however, Hitler’s Final Solution was something novel in that few people believed that in the 20th Century, when civilisation had reached its intellectual and ethical peak, such genocide was conceivable. Public consensus, supported by the media, reassured us that we could no longer return to the Middle Ages. However, the philosophers and poets of Berlin, with their fine manners and high society, turned into the world’s greatest murderers. The Holocaust was not only perpetrated by monsters, but connived at by an entire nation numbering close to one hundred million people. The world was silent. One may add, not only silent but on the whole passive, sometimes comfortable with what was taking place, and happy that it was not they, only others, who were carrying out the atrocities. Did the great believers question? The question, “Shall the Judge of all the earth not do justice?” (Genesis 18:25), can be authentic and carry weight only when it bursts forth from the pained heart of a deep believer. The first to ask this question was our forefather Abraham, himself a man of great faith and the father of all believers, who when told to offer his beloved son Isaac as a sacrifice, did not question. “And Abraham rose early in the morning,” – he rose to do G–d’s Will with alacrity. The Talmud (Menachot 29b) relates that Moshe was shown how the great Rabbi Akiva suffered a tortuous death at the hands of the Romans. When Moshe saw them comb Rabbi Akiva’s flesh with iron rakes he exclaimed, “Is this Torah and is this the reward! ?” The answer that came from Above was, “Silence, thus has arisen in the thought (of G–d)”. The problem with Moshe’s question was not that he verbalised a thought and was subsequently silenced. It was the content of Moshe’s question that was silenced. This is rather disturbing for the reply to his question was superficially no reply. Moshe requested a rationalisation and yet he received a command. But in no way do we find that the question weakens Moshe’s faith. On the contrary, it is only faith that allowed the great to overcome their trials and tribulations. Jeremiah, who asked, “Why are the wicked successful in their ways?”, continually exhorted the people to restore their faith in G–d. Job suffers horribly and is taunted by his friends. He questions but never loses faith. It is no great surprise that all the great who questioned remained faithful. The question itself is based on a fundamental desire for justice. The premise of faith is that there is justice and that ultimately justice is carried out. This idea of justice stems from a superhuman source that stands above man’s limited grasp and intellect. Therefore, when justice is not seen to be done the question rocks not only the intellect but the very core of the questioner. However, after a brief moment of pain and protest, the questioner realises that he is trying to fathom the unfathomable, and comprehend the incomprehensible, to grasp that which is higher than intellect with intellect. He soon realises that such a reaction has no place and, while suffering, retires in the knowledge that although he cannot at this moment comprehend what is going on, ultimately the Supreme Judge will execute justice. Through the question, and expression of pain, his faith is restored and strengthened. Cursory reflection on the fact that G–d judges all men at all times reveals that the Judge of whom we talk is superhuman. Non-comprehension of His ways does not serve to disqualify Him but rather stems from our inability to understand His infinite wisdom. Look for example at what happens in courts of law today. How many innocent people are imprisoned due to the shortcomings of the judicial system and its judges. How may guilty people walk freely in the street. The judges and their clerks frequently complain of being overworked and legislation places restrictions on their working hours. In contrast, the Judge of all the earth, works 24 hours a day, dealing with the five billion people on the face of the planet. Can man have the brazenness to question or even attempt to understand? Ultimately the human being realises his perception is finite. Imagine taking a primitive man and somehow transporting him into a modern operating theatre to witness open-heart surgery. First he sees men in masks walk into the room. They are all dressed in green and are wearing gloves. Next a man sleeping on a bed is rolled into the room and one of the men dressed in green puts a mask over his face. Another man removes the sheet and asks for a scalpel. The primitive man watches in horror as the surgeon makes the incision. With his zero knowledge of modern medicine, the man comes to the terrible conclusion that what he is witnessing is murder in cold blood. Where he comes from that is not how men are killed. They die honourably in combat, not killed whilst asleep! It all seems wrong to him. His sense of justice is aroused and he protests. Try and explain to that man that the operation he is about to witness is, in truth, a life-saving operation, one that will give a new lease of life to the patient. Impossible – the man has not got the faintest idea of hygiene, let alone modern operating techniques. However you explain it to him, he sees it as murder. It would take weeks, months, or even years for him to comprehend. On one level we are all primitive men in G–d’s operating theatre. Our comprehension of the operation is limited and we often accuse the Master Surgeon without comprehending that all operations are made for the good of the patient. G–d is the ultimate of good. He is good and His nature is to do good. Even within pain and suffering there is some good, although that may be obscured from the sufferer. Our faith leads us to believe that the Surgeon knows what He is doing. There are those who wish to suggest that the Holocaust was a punishment for the sins of that generation. The destruction of six million Jews in such a horrific manner that surpassed the cruelty of all previous generations, could not possibly be because of a punishment for sins. Even the Satan himself could not possibly find a sufficient number of sins that would warrant such genocide! There is absolutely no rationalistic explanation for the Holocaust except for the fact that it was a Divine decree … why it happened is above human comprehension – but it is definitely not because of punishment for sin. On the contrary: All those who were murdered in the Holocaust are called “Kedoshim” – holy ones – since they were murdered in sanctification of G–d’s name. Since they were Jews, it is only G–d who will avenge their blood. As we say on Shabbat in the Av Harachamim prayer, “the holy communities who gave their lives for the sanctification of the Divine Name ... and avenge the spilled blood of His servants, as it is written in the Torah of Moshe ... for he will avenge the blood of his servants ... And in the Holy Writings it is said ... Let there be known among the nations, before our eyes, the retribution of the spilled blood of your servants.” G–d describes those who were sanctified as His servants, and promises to avenge their blood. So great is the spiritual level of the Kedoshim – even disregarding their standing in mitzvah performance – that the Rabbis say about them, “no creation can stand in their place.” How much more so of those who died in the Holocaust, many of whom, as is well known, were among the finest of Europe’s Torah scholars and observant Jews. It is inconceivable that the Holocaust be regarded as an example of punishment for sin, in particular when addressing this generation, which as mentioned before is “a firebrand plucked from the fire” of the Holocaust. Judaism believes in the existence of a soul. This soul descends from the heavenly realms to inhabit the body for seventy or eighty years after which it returns to its Maker. The soul exists before it enters the body and exists after it leaves the body. Rabbi Shneur Zalman of Liadi in Tanya describes the soul as a “part of G–d above”, a spark of G–dliness which inhabits the body in order to create an abode for the A–mighty in the world. Chassidic philosophy explains at great length the purpose of the descent of the soul and the purpose of creation. Leaving aside any deep philosophy, even the simplest of beings understands that the body is corporeal and physical whereas the soul is ethereal and spiritual. He further understands that the sword, fire and water can have an effect on the body but no effect on the soul. Sticks and stones can hurt physical bones but they can’t touch the soul. It is then obvious that the gas chambers and crematoria affected only the bodies of those martyrs but not their souls. Furthermore, it is logical to regard the soul as the main component of the compound body and soul. Just as all will agree that the head is more important than the foot, so too are thoughts and feelings more important than flesh. Based on these two premises, which are logical and can be easily understood, it is clear that the Holocaust only achieved the severance of body and soul but did not destroy the soul. On the contrary, the soul lives on long after the body has been destroyed. Imagine if someone looked into a room and saw somebody crying. Would it be logical to conclude that the person in the room had spent all his life crying? Conversely, if someone looked into a room and saw somebody laughing, would it be correct to assume that this person spends all his life laughing? Such conclusions would be ridiculous. We all know that a person’s life constantly varies, containing moments of laughter and tears. The same is true of those in the Holocaust. The precise number of years they lived in this world must be viewed in the context of the continuum of the soul. Although they physically lived so many years – some longer than others and, in the case of children and babies, some only a very short time – in terms of the time scale of the soul, which lives for thousands of years, it is but a brief moment! True, when we view the Holocaust we see an intense moment of destruction, but should we therefore conclude that this state is that of the soul! It is mentioned in the book Maggid Meisharim (Parshat Tetzaveh) that Rabbi Yosef Karo, the author of the Code of Jewish Law, was due to merit giving up his life for the sanctification of G–d’s Name but for some reason this was commuted and he did not merit to die thus. He lived on to become the leading Halachic authority of his generation and wrote the great Code of Jewish Law which we still follow today. And yet this amazing achievement is considered secondary to martyrdom in sanctification of G–d’s Name. From this we see that martyrdom – and all those who perished in the Holocaust were martyrs, for they died because they were Jews – has merits of the highest order. There is no question for the believing Jew that although the moment of Kiddush Hashem (sanctification of G–d’s Name) was horrific in terms of both physical pain and suffering this did not affect the soul and, on the contrary, was but a brief moment in the life of the soul, through which it attained eternal elevation. It is frequently explained and emphasised in the Torah that life on this earth is only a preparation for the future and everlasting life in the World to Come. The Mishnah (Avot 4:21) states, “This world is like a vestibule to the future world; prepare yourself in the vestibule so that you can enter the banquet hall.” If, during the time one is in the vestibule there has been a period of suffering whereby there will be an infinite gain in the “banquet hall”, this will surely be worthwhile. It is impossible to describe the joys of the life of the soul in the World to Come for, even in this world while the soul is connected to the body, its life is on an infinitely higher plane; how much more so when the soul is no longer distracted by the body. The suffering in the “vestibule”, which is no more than a corridor to the “banquet hall”, is after all a temporary one, and the gain is eternal. Furthermore, one of the fundamentals of our faith is that of the resurrection of the dead. There is absolutely no doubt that all of the Kedoshim of the Holocaust will rise at the resurrection. The many beautiful and bountiful years following the resurrection will certainly suffice to give them their full reward in this world for all they achieved and deserve. If the Holocaust was a Divine decree why do we find the great Jewish leaders urging us to storm the gates of Heaven with prayer in order to avert any evil decree? Surely we should just submit ourselves to the wisdom of G–d and not object? We find the Previous Lubavitcher Rebbe, who himself lived through the Holocaust, proclaiming that all must plead and cry before the A–mighty King to annul the evil decree of destruction. But of what use was the crying if this was the Divine will? Furthermore, the Mishnah in Avot (4:17) teaches, “One hour of repentance and good deeds in this world is better than all the life of the World to Come; and one hour of bliss in the World to Come is better than all the life of this world.” This means that if we could add the sum total of worldly pleasures it would not equal one hour in the World to Come. The spiritual bliss and rewards of the World to Come are incomprehensible and far surpass any worldly pleasure. And yet, since G–d created this world as the purpose of creation, in the words of Tanya, “to create an abode for G–d in this world”, it follows that one hour of fulfilling our purpose in this world – involved in repentance and good deeds – is better than all the spiritual rewards of the World to Come. If this is the case what justifies taking so many Jews away from this world, removing their opportunity of living a life of Torah and mitzvot? Which spiritual reward of the soul equals an hour of repentance and good deeds in this world? Moreover, there is the law of Pikuach Nefesh (saving a life). This law states that everything must be done in order to save a life even for one extra moment. The holiest day of Yom Kippur may be desecrated in order to save a life. The law goes further to state that even the High Priest when performing the service in the Holy of Holies must leave in order to save a human life. Not only is this permitted, it is mandatory! Since human life is so precious, both from a halachic and from a philosophical viewpoint, why did G–d act thus? Why the Holocaust which wiped out six million so mercilessly? They believed firmly in an Infinite and Omnipotent G–d, and they understood that everything G–d does is for good, yet they felt that since G–d is not limited, and the Master Physician can treat the patient in a number of ways, why did the operation take place by such a drastic method? Could G–d not have found another way to treat the patient? Wasn’t there a different way to avoid all the pain? True, we may need the operation – for a reason G–d understands best – but why did He choose such operating techniques? The storming of the Gates of Heaven with prayer was in order to avert the means by which the result of the operation was to be achieved. The plea was: please achieve your desired result using a more palatable method. Why such a bitter medicine? We must never forget what happened. Remembering what Amalek did to us is a positive commandment. Our generation must always be reminded and fully aware of the events and consequences of the Holocaust. Particularly the great acts of Kiddush Hashem, not just of those who rose to fight but also of those who persevered in keeping the Torah in impossible circumstances. But in addition to remembering, there is an equally, if not more, important response to the Holocaust. When Pharaoh in Egypt sought to destroy us, the Torah tells us, “But as much as they would afflict them, so they would increase and so they would spread out.” The true response to the Final Solution is to build a true Jewish life and home. Hitler sought to annihilate us; we must respond by building a more committed and numerous Jewish world. In fact, too much dwelling on any tragic event, and particularly the devastating events of the Holocaust, can drain one’s energy and induce pessimism. These may negatively affect the rebuilding of Judaism and Jewry, which requires elements of Bitachon (trust) and Simchah (joy). Three of the most tragic periods of the Jewish people were: after the destruction of the first Temple, after the destruction of the second Temple and in the Middle Ages following the Crusades. How fascinating that in each of these three periods we witness a phenomenal growth in the development of the Oral Tradition. After the destruction of the first Temple lived the Men of the Great Assembly who added many rabbinic injunctions and institutions. After the second Temple came the writing of the Mishnah and Talmud, and in the Middle Ages the period of the Rishonim who added detailed commentaries on the earlier texts. That same pattern has been repeated in the post-Holocaust era in which there has been explosive growth in Torah learning and publication of Judaica. We must not give our enemies the final solution. We must increase our study of Torah and performance of mitzvot, for ultimately the deed is the main thing. Was the Holocaust a Punishment from G‑d? I am also the child of a Holocaust Survivor. And while I can not agree with you, I can understand your point of view. I do not believe that G-d broke his covenant with us. Yes the Holocaust was horrible and monstrous, yet at the same time it gave us the back bone we had lost somewhere along the way. Perhaps the Jewish nation became too complacent. All I am sure of is in that era of history, gone were the Maccabees and the King Davids. Where were the warriors? I honestly have faith that G-d knows what He is doing and that in order to bring a strong and determined people back to our homeland, to keep His covenant with us, we had to be reminded that we are from warrior stock. That we can and will stand up for ourselves. That we will Never Forget and that we have learned our lesson. Disarming innocents has been a problem throughout history. Those in power want no competition, and they define their own morality. Lessons Yes the Jews of Europe were Devout, and yes millions were slaughtered. I have read and reread the histories, and listened to the stories from my family. The one thing I find consistent in all is the way those Jews went like lambs to slaughter. Why? Where was the Judah Maccabeus of the era? The Devorah? The question is not only "where was Gd?" Implicit in this, for Jews, is the question, "Where is the Covenant?" We were promised victory in battle. We were promised prosperity and safety. Look at the Torah. These promises were broken. For two thousand years, Jews have upheld our side of the covenant, but Gd has not upheld His promises. We are told to have faith, no matter what. But, as I heard Manis Friedman say aloud to a huge audience, Gd should count Himself lucky that we're still here, faithfully serving Him--even Jews within the ridiculous Reform movement still faithfully abstain from serving other gods-- but Gd allowed the Jews of Eastern Europe--the most faithful group of Jews who could possibly exist--to be almost totally wiped out. If this is the fate of the righteous, why shouldn't the rest of us melt into the majority and be forgotten? Can you measure trust? Trust is something that can not be measured by inches or millimeters, yet it can be felt. The love of a parent for their child can not be measured, yet it can be felt. The love of two older people walking hand in hand can not be measured, yet it can be felt. The "bonds" of matrimony can not be measured, yet they can be felt. A newborn child will quiet at the touch, sound and feel of their mother, yet no one "taught" the child that. No one taught me to enjoy the sights of a setting sun or rising moon. I had never seen the sea shore until I was much older, and yet the first time I saw the rolling waves I felt something move inside of me in wonder at the beauty, majesty and power in the waves. That can not be measured either. Dear Deborah Yes you see the sun rising/setting and more. But this is not data, you nor anyone else can measure the connection with "God". You "know" and "trust" because you have been "educated" to do so. That is the problem with Greek philosophy. It tells us to believe in impossible absolutes. But what if Gd doesn't have to know everything and cause everything? It's true that Gd is the only independently existent entity. Gd's existence doesn't depend on us, but ours depends on Gd. So everything that isn't Gd, doesn't really exist. It comes from Gd, not from itself. On the other hand, Gd's existence depends on human belief and prayer. If we don't believe and pray and serve Gd, this can weaken Gd, heaven forbid. Maybe there were so few believers at the beginning of the 20th century that Gd was weakened. If that's the case, it's not Gd's fault. Gd can do a lot, but maybe not enough. All I really know is that prayer to Gd is essential for me. I can't give it up. In spite of the Holocaust, I have to keep praying and giving thanks. It's necessary for me. God as angry As a parent gets angry with a child, I believe our Creator/Parent can get angry with us, and has. More than once we have learned that our forefathers Interceded, for us against His anger. Does G-d see the future? Or does G-d plan the future? Can a finite human being come close to understanding the infinite? Does G-d dictate our actions from birth? Hashem gave His people the ability to be contrary, sin, revolt, question, rebel, do the unexpected. If Hashem controled all Eve would never have gotten evicted from the Garden and there would be no need for comnandments or mitzvot. We question, Hashem answers. Maybe not always in the way we expect or want, but in His time, and His way. For all that I have seen, I have to trust the Creator for all I can not see. But the Torah tells us of G-d's anger with His people on more than one occasion. It also tells us that He created man. It equates that we were also given the ability to anger. Children often get angry at their parent (s), but that doesn't mean they stop loving their parent (s).Children often doubt their parent (s) and they don't always understand the actions of a loving parent. I have raged against both my parents and Hashem, especially in my younger days. What would G-d need or have emotions? He/She/It knows the future and do do anything? And emotions are a biological phenominon as well and G-d is above biology (the same could be said of gender). Isn't it the idea of G-d created in man's image rather than the other way around? Yes we question, at times we doubt, and get angry. Mainly because we do not see all. Can not see all. Naomi We are commanded to love and obey G-d.
We are not commanded to not be angry with Him. The two feelings are not mutually exclusive. And G-d is big enough to withstand your anger. Perhaps there could have been kinder ways to have made Israel WWII led to the deaths of 80 million people. Evidently, G-d let 6 million Jews die so that Jews would learn a lesson and work to create Israel. Exactly what was the intended lesson? What about the deaths of the other 74 million non-combatants? What lesson was the "good" G-d trying to teach to the gentiles who were also killed?